The Self is illusion – so says the Buddha; and Susan Blackmore agrees, albeit with more scientific evidence as backup. We are sure that there is a world outside, filled with inanimate and live things. However, we can experience this world only through our senses: the colours, the smells and the feels. They are all we have, to form our idea about our environment. However, they are dependent upon the experiences of our brain, therefore by nature subjective – and when we come to abstract concepts like pleasure and pain, they have no existence other than in the mind. “Mind” – the fateful word! What is it? Even if we are not read up on philosophy, we assume that it exists independently of our physical body. That is, most of us subscribe to some sort of dualism. All the world’s religions, other than Buddhism, posit an indestructible “soul” (although there is a difference between the Hindu Atman and the Levantine soul, a point which I shall touch upon later). 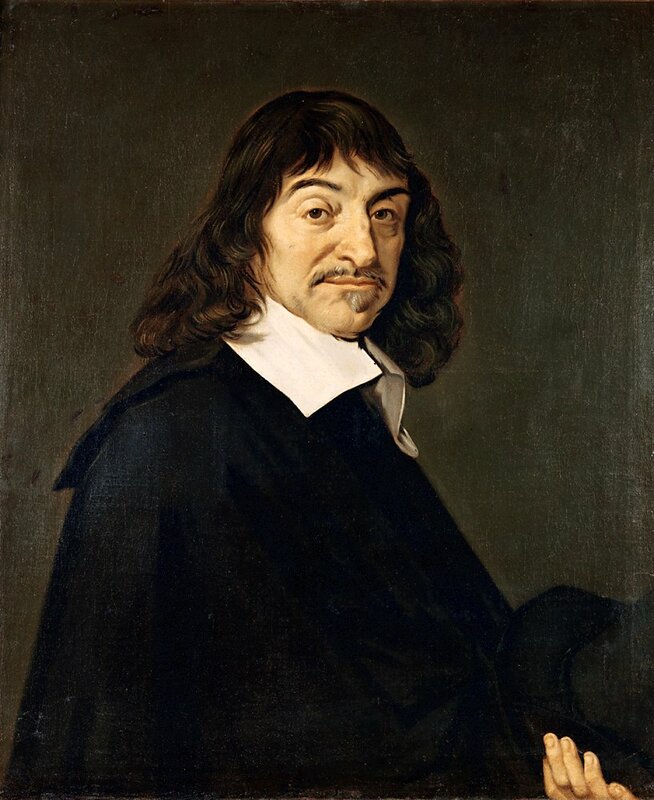 The best-known dua list theory about the mind is the one proposed by Rene Descartes, the famous Seventeenth Century French philosopher. According to Descartes, the mind is non-physical and resides in the pineal gland in the centre of the brain. However, the problem of the interaction of the non-physical mind with the physical brain is not so easily solved, therefore most scientists and philosophers prefer a monistic explanation – either the mind being fundamental, or the body. Modern science takes the materialistic view that the mind arises from mental processes. But this does not solve the problem of how a physical brain, made purely of material substances, can give rise to conscious experiences which scientists call the ‘qualia’, the indescribable experiences. This is traditionally called the ‘hard problem’ of consciousness, a term coined by the Australian philosopher David Chalmers in 1994. What does being conscious mean? For example, is my computer which takes inputs from me, interacts with me, and provides output in some way conscious? Most of us would instinctively say no: we are conditioned to think only biologically “live” entities as conscious. But then, is a tree conscious? It is born, lives and dies: reaches towards light, and uses its roots to feed itself. Again, most of us would say no – it has no brain. But then, is a bat, which has a brain, conscious in the same way that I am conscious? 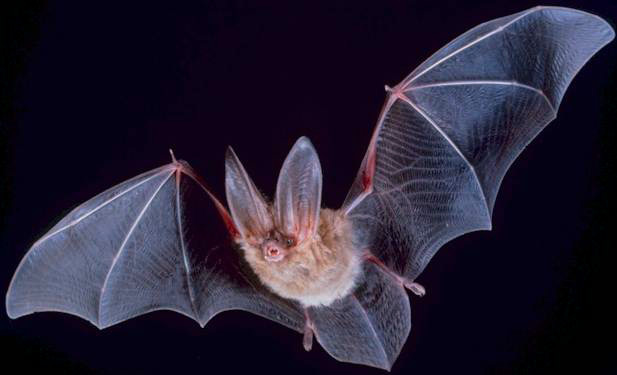 “What is it like to be a bat?” – This question was made famous by the American philosopher Thomas Nagel 1n 1974. He said that if there is something it is like to be the bat, that is, if the bat is self-aware of being itself, then it is conscious: otherwise it is not. Nagel was using this argument to challenge materialism: since consciousness is subjective, we can never know objectively what it is. What we are talking about here is phenomenal consciousness, which is where self-awareness comes from – which is to be differentiated from access consciousness, which we use for thinking, acting and speaking. So here is the million-dollar question: is consciousness an add-on to the physical brain, something which arises out of neural activity yet independent of it (the ‘ghost in the machine’)? Or is it intrinsic to complex brain processes and inseparable from them, and the idea of an independent consciousness an illusion? Blackmore subscribes to the latter viewpoint, following the path of the philosopher Daniel C. Dennett. This book is devoted to proving that the self is an illusion, based on the findings of scientific research. 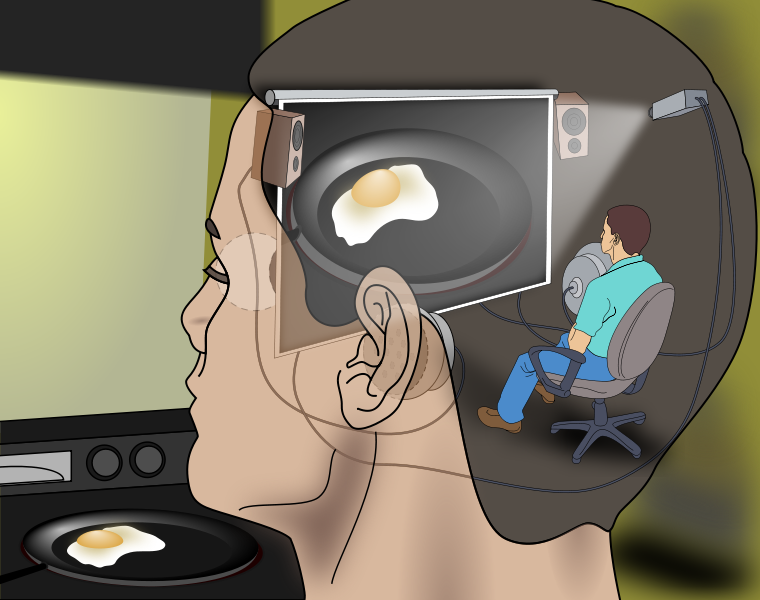 Susan Blackmore says we more or less view our mind as a theatre, where the self sits, seeing the show through the eyes, experiencing smells through the nose, and hearing sound through the ears – our daily 4D movie show. Also, we add the time element to it, experiencing it as flowing like a stream (hence the term ‘stream of consciousness’). According to Dennett, this is all bunkum. There is no centre point in the mind where everything comes together – it is all processed in parallel. The amount of scientific research the author manages to bring to the table to prove her point are impressive. 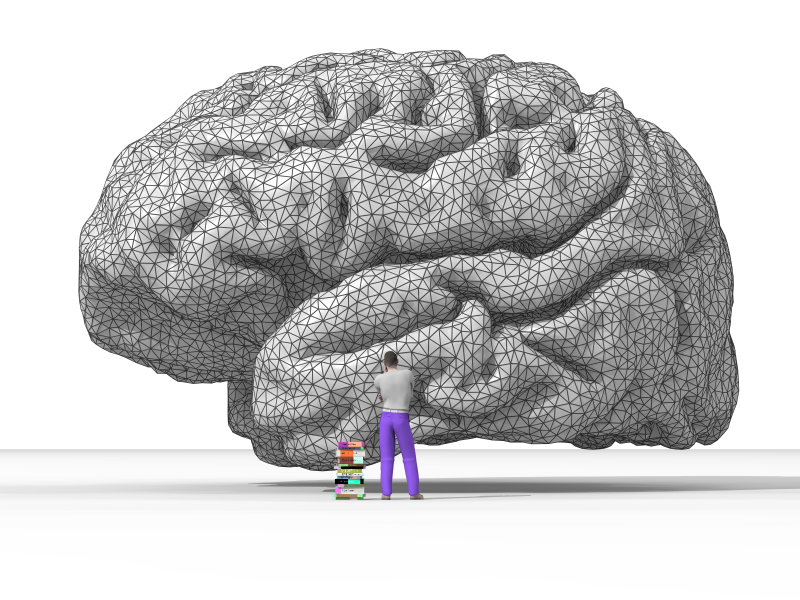 First, the human brain is analysed in detail, how various parts are related to various activities of the consciousness – also how damage significantly changes human perception in weird ways. Having linked mental processes firmly to physical activity, Blackmore attacks the concept of ‘stream of consciousness’ by establishing that the events the brain processes do not enter consciousness at all unless verbally probed – that is, we become aware of doing something only when we introspect. So there is no ‘stream’ as such, rather multiple processes which are gathered into a coherent stream later on. Still there must be something like a consciousness to do all this activity. Blackmore does not disagree – we do feel a ‘conscious self’, but in scientific terms, it is an illusion. She presents an extensive list of interesting experiments to prove that perception is largely subliminal. Even if we are not “aware” of what we perceive, the brain functions just the same. The self, instead of an entity, is a ‘bundle of sensations’, to borrow the words of David Hume. This is also very near to the concept of the ‘Anatman’ – the ‘not-self’ – posited by the Buddha (a man much ahead of his time, it seems!). 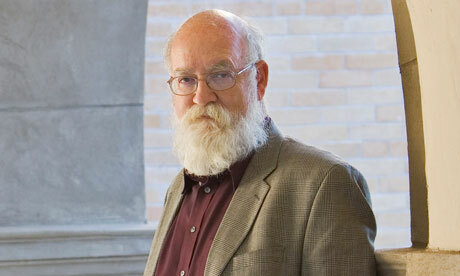 Finally, a completely different approach is provided by Dennett. Having rejected the Cartesian theatre, he also rejects its audience of one who watches the show. The self, he claims, is something that needs to be explained, but it does not exist in the way that a physical object (or even a brain process) exists. Like a centre of gravity in physics, it is a useful abstraction. Indeed, he calls it a ‘centre of narrative gravity’. Our language spins the story of a self and so we come to believe that there is, in addition to our single body, a single inner self who has consciousness, holds opinions, and makes decisions. Really, there is no inner self but only multiple parallel processes that give rise to a benign user illusion – a useful fiction. It seems we have some tough choices in thinking about our own precious self. We can hang on to the way it feels and assume that a persisting self or soul or spirit exists, even though it cannot be found and leads to deep philosophical troubles. We can equate it with some kind of brain process and shelve the problem of why this brain process should have conscious experiences at all, or we can reject any persisting entity that corresponds to our feeling of being a self. I think that intellectually we have to take this last path. The trouble is that it is very hard to accept in one’s own personal life. It means taking a radically different view of every experience. It means accepting that there is no one who is having these experiences. It means accepting that every time I seem to exist, this is just a temporary fiction and not the same ‘me’ who seemed to exist a moment before, or last week, or last year. This is tough, but I think it gets easier with practice. In the same way, Susan Blackmore also negates free will. Quoting an interesting experiment by Wegner, she argues that the same unconscious impulses give rise to the action and the thought behind the action: only thing is that the thought occurs a fraction of a second before the action, so we conclude that we have willed it! Firstly, this is not an introduction to the subject – it is an introduction to particular theory of consciousness. History of scientific and philosophical research on the subject is largely ignored, and competing theories are presented only so that they can be refuted. I am definitely interested in the subject, and shall be reading more – and not just Dennett’s theory. Secondly, materialism and monism is taken as a given. True, the Levantine concept of an indestructible soul occupying the destructible body cannot be treated scientifically (though it’s a valid religious concept)– but the Hindu concept of Atman and Brahman is slightly different. The Mandukya Upanishad talks extensively of consciousness. It posits four ‘Purushas’ (we may think of them as various types of consciousness). The first one, which is outward-looking and connected to the waking state, experiences the ‘real’ world. The second one, which is inward-looking and connected to the dreaming state, experiences the phenomenal world. The third one, which is connected with dreamless sleep, experiences the real and phenomenal worlds at the same time. And the fourth one, the most profound, goes beyond all these experiences and transcends the phenomenal existence. I guess it is here that the Atman identifies with the Brahman. The concept of the Brahman in Hinduism can be most closely approximated as ‘un-distilled sentience’: a sort of cosmic consciousness of which each and every atom of reality is but a part. The individual Atman is but an imperfect reflection of the Brahman: the realisation that it is part of the big whole is said to be the whole purpose of enlightenment. At the present level of scientific knowledge, materialism seems to be the only valid worldview. But in the light of quantum phenomena, is the concept of reality as sentience wholly off the mark? I don’t think so. Susan Blackmore could have dwelt a bit more on the philosophical aspects of the question also, I feel. But maybe it’s unfair to expect it from a book which is basically scientific in nature.